Rakhi is a perfect gift for celebrating Raksha Bandhan day. It will convey your blessings, care and love on this special day. 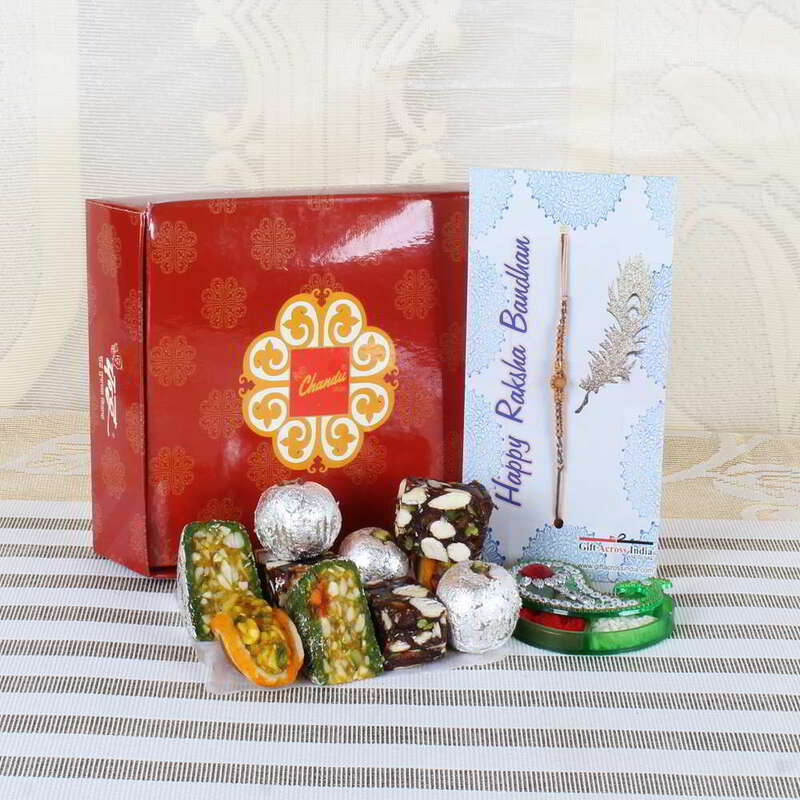 Assorted Sweets with Wooden Rakhi Hamper is the best one to enjoy the festival with full happiness. You can gift it to your lovable brother on the Raksha Bandhan to celebrate that day with delicious sweets. 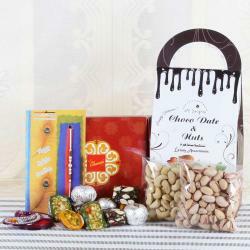 It can be filled with chocolates and nuts which remind childhood memories to them. 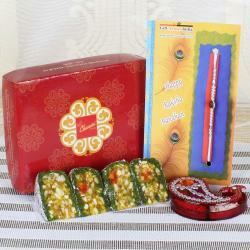 The wooden beads Rakhi with Roli Chawal is a great gift for your sweet brother. This hamper with a thread is making this celebration as unforgettable in your life. 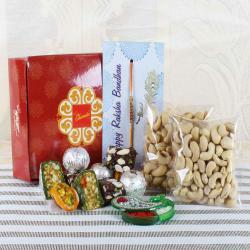 Product Consists of: Assorted Sweets (Weight: 500 gms), Tiny Wooden Beads Rakhi along with Roli Chawal Container.